Designers often talk about “design intent”, or the overall visual structure of what we want to design based on our intentions at the beginning of the project. But communicating design intent to clients can sometimes be tough—it’s often abstract and relies on a few creative leaps to understand. This is especially true when partnering with clients who have varying degrees of experience with design teams. We realized that to more clearly communicate with clients, we’d have to build better methods of showcasing our visual and interactive ideas before jumping right into design comps, full layouts, or refined brand elements. That’s where concept boards come in. We started using concept boards about a year ago as a way to clarify our thinking to clients. Each board is organized around a specific theme. Those themes relate to the strategic goals of the organization. For example, an organization may be trying to tell a story about health care in the developing world. The two concept boards may then be called Clean Initiatives, and Bright Future. The visual ideas on each board would be based on that two or three-word theme or title. Doing it this way helps us to make some strong differentiating choices early on, so the client has a real sense of which visual direction they can go. It might be something clean and minimal, or something warm and lively. Those choices are ones we explore with our clients, using the concept boards as the focus of those discussions. We found that having two of them provided enough of a differentiator that clients could make some clear choices about which one felt ‘right’ for their digital brand. For larger brand initiatives, we might use more concept boards as a way to focus our client’s attention on a wider set of choices. "Our process is designed to first ask Why, not How, we’ll deliver the goods." 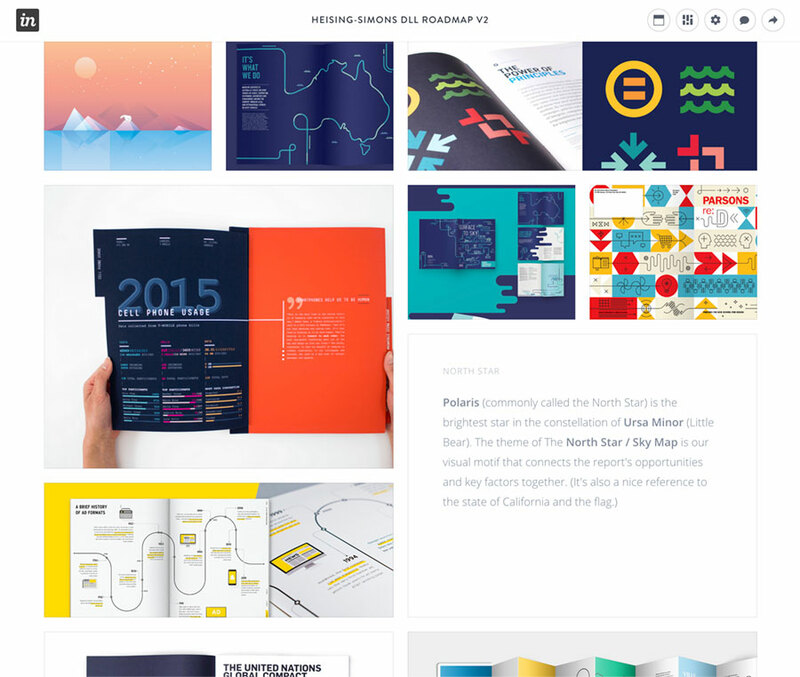 After using concept boards for the better part of a year, we’ve come to a few key conclusions. First, it is critically important to explain how the concept board process will benefit clients. As part of our initial conversations with a new client, we go over how the boards work and why we find them useful. Where necessary, we include them in our scope of work as a separate deliverable. When speaking with a client about our design process and methodology, we can pair these concept boards with finished products in case studies, to show how our approach works. 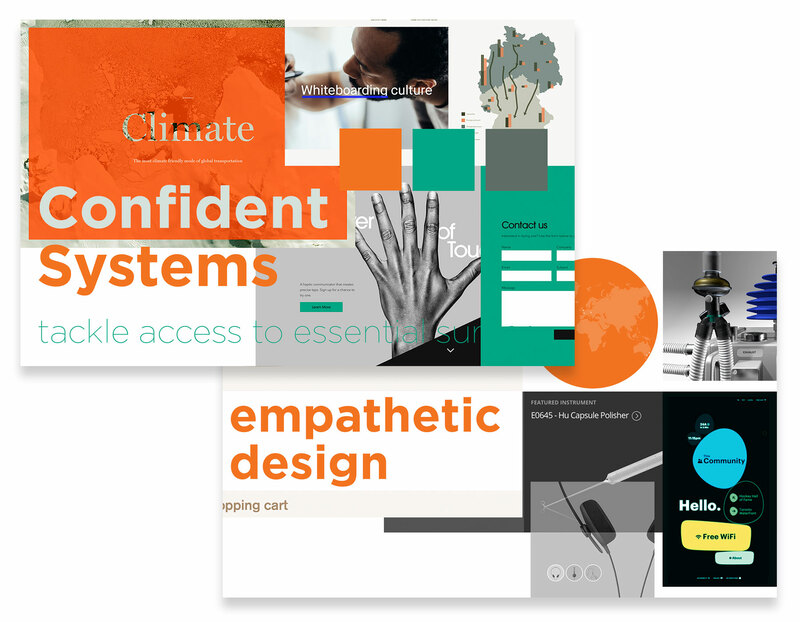 For organizations that may have a tighter budget or time constraints, we pitch concept boards as a very effective way to communicate design without a longer investigative process. Second, you need to dedicate time to selecting and editing images that relate to your client’s brand and area of expertise. We start with quick investigations into interface and typography and pair them with images and other visual artifacts. Those elements, combined with the organization’s brand colors, logo, or key photos, can help tell a much more effective story. Essentially, what we show and what we don’t show can really make or break the conversation. Third, how you deliver the concept boards matters. Many of our clients are not in New York or would struggle to schedule office visits, so we need to do a lot of things virtually. Our first attempt at concept boards used large jpegs or PDFs that were difficult to view over screen share or on laptops. Those weren’t really effective. The format wasn’t one that a lot of clients were comfortable navigating, and the files got really large. For our subsequent attempts, we started to look at digital tools which could help facilitate that delivery. Pinterest was one we looked at briefly, mostly because of their in-browser sharing tools. We also looked at InVision Boards and decided to keep using it. 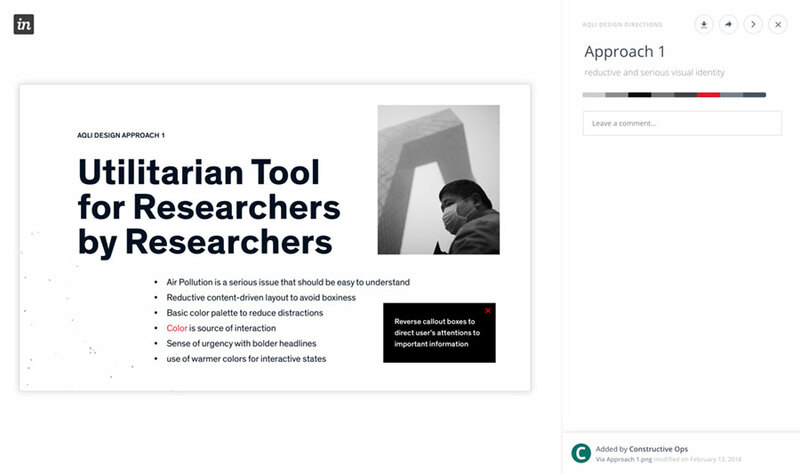 Their tools worked with a lot of our other design workflows, and features like public link sharing and commenting made the client communication bit much easier. When reviewing concept boards in client meetings we found it helpful to do a few things to set up the conversation. First, we need to explain what concept boards are (and what they aren’t). We tell clients that these visual design conversations are directional, and not completed designs. Creating a false sense of a solution before we had actually started design would hurt us later on as we explored ideas in more detail. Clients often like to mix and match elements they find in each concept board. That might mean those clear choices we defined early on got slightly muted. Ultimately, however, it means our clients get more involved early in the design process, and we get feedback on what is (and isn’t) going to work for their brand and their project. Concept boards clarify our design intent in a number of ways. Starting with client conversations to explain our process, we clarify concept boards as a design and communications tool. While creating the boards, we focus attention on our client’s needs and their overall brand goals by selecting appropriate images, patterns, and sample user interface concepts. When presenting the concept boards, we clearly explain how they’re used and what feedback we are looking for from the client. Since everyone needs time to digest and think about these more visual presentations, we use InVision or other digital platforms to share the concept boards with the client. This way, they can look at them independently and speak privately with their team. Overall, concept boards are a very effective way for us to communicate our design intent, and we are very happy with the results!